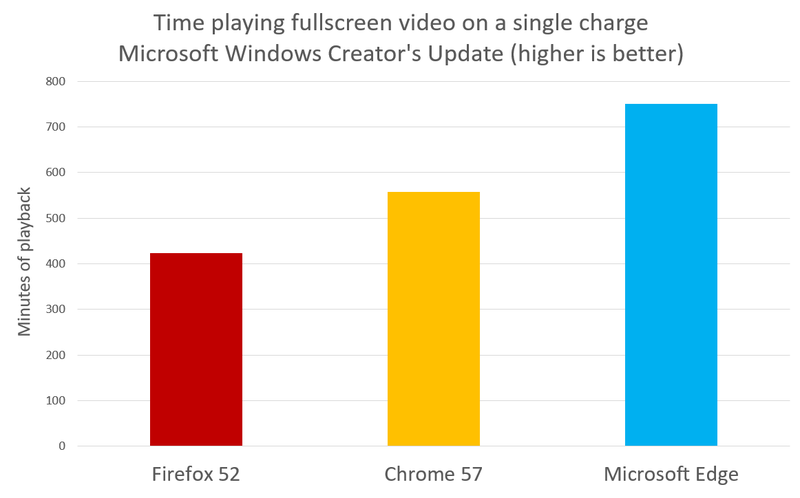 The Microsoft Edge team measured the time it took three identical Surface Book laptops to run fully through their batteries while streaming video from Vimeo in fullscreen. The test was done on three Surface Books running build 15063 and connected to the Internet through Wifi. Microsoft Edge lasted 77% longer than Firefox and 35% longer than Chrome in this test. Continue until all devices have run out of battery power, recording the time it takes for each.